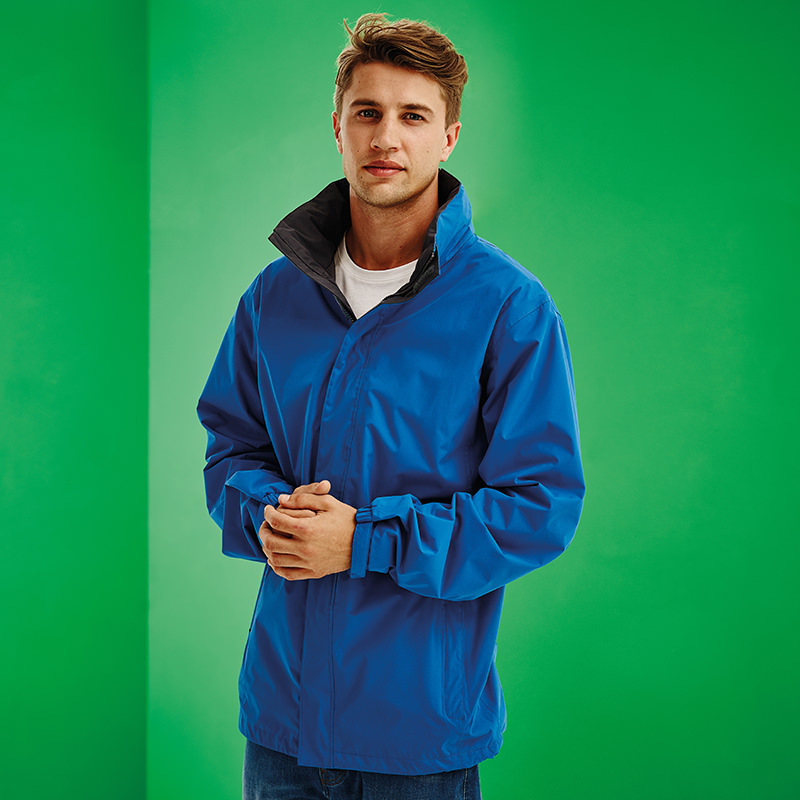 Sizes: XS 35/36" S 37/38" M 39/40" L 41/42" XL 43/44" 2XL 46/48" 3XL 49/51"
Available in bold and bright colours, including the usual classics, this jacket from Regatta combines style and functionality. The waterproof polyester outer is combined with a mesh inner and includes taped seams for excellent windproof performance. The concealed hood can be stowed inside the collar and an internal pocket includes earphone cord access. The jacket includes two lower zipped pockets and has adjustable cuffs and an adjustable shockcord hem. Access zip for embroidery allows decoration without going through the inner lining of the jacket.